Claire Arden has a lot on her plate. In addition to surviving life as a high school sophomore, while avoiding the pitfalls that come with growing up on the wrong side of the tracks, she takes care of her aging grandmother, does her best to keep her flighty best friend out of trouble, and even holds down a part-time gig at The Burger Shack. Oh! And she recently discovered that she’s a princess, but not just any princess. Claire is the half- blood princess of a race of creatures she’d always assumed didn’t exist outside of the bedtime stories her gran used to tell her. Forced out of our world by humans of old, the fae, gifted with dominion over the four elements, created Faega, a world behind our own where they govern beings long believed to be mythic. Under the protection of her human mother’s closest friend, Claire was spirited away from Faega as an infant because of an uprising of those who opposed her birth simply because she was only half fae. Sixteen years later, with members of the dark fae searching for her, she’s reacquainted with the magical realm from her bedtime stories, and all the treachery, danger, and adventure that comes along with it. Hi; I’m Jessica. In a nutshell I’m just a hopeless romantic with a wandering mind and a big imagination who’s grateful to God for her gift of storytelling. I’ve been blessed with a mind and imagination inclined toward all things artistic, so I think a creative career was always meant for me. I’ve been writing since I was a kid, but I didn’t start seriously contemplating becoming an author until I was in college. The idea for this sprawling fantasy series that is now known as The Mythic Chronicles came to me when I was sixteen, and I got so inspired by this little half-formed idea that I wrote my first draft of the story that, 8 years later, became Book 1: Enchanted in about one month.. That first manuscript will never see the light of day because it was pretty terrible, but no worries, My skills have improved a lot since then. 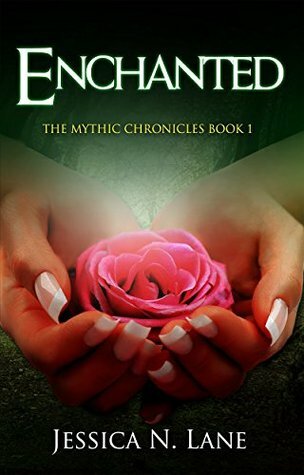 If you’re up for a sprawling, fantasy series packed with plenty of magic, danger, romance, and adventure, the journey begins with Enchanted: The Mythic Chronicles Book 1. If you have read any of the books in the series, and enjoyed them, don’t forget to write a review. Getting feedback from you guys is so rewarding. You can follow me on my various social media platforms (Website, Facebook, Twitter) to stay in the know. I love hearing from you guys, so feel free to email me at darlingpen2 (at) gmail (dot) com. Thank you guys for all your love and support. I love each and every one of you. Welcome to the family! Claire is a 16 year old just trying to survive school and her part time job. But a chance encounter at the store turns Claire’s world on end. It seems that the stories her grandmother told her about the fae were true and Claire is a half-blood princess. It’s time for Claire to return to Faega and learn how to control her powers. But this is not going to be easy since she is constantly reminded of her half-blood heritage and she has those that are out to make sure she doesn’t take her place with her father. This is a wonderful story. Claire is just trying to get by when she gets one heck of a surprise. Who wouldn’t want to be a princess? Unfortunately this is one role that is not very pretty, nice or fun. Claire learns quickly that this is not fun and game and there are those that really hate her half-blood. She makes mistakes, learns quickly and starts finding her place. This is a wonderful world that Jessica Lane has created. I can’t wait to see what happens to Claire in book 2. If you like young adult, fantasy, romance stories you will love this book. 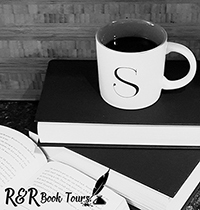 I received Enchanted for free from Reading Addiction Virtual Book Tours in exchange for an honest review.